Robert L. Lancaster is a Principal in Cummings & Lockwood's Private Clients Group and is based in the Naples office. 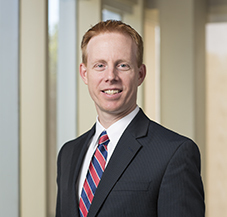 Rob focuses his practice on the areas of wealth preservation planning, estate planning and business succession planning. Today’s litigious environment compels individuals to proactively engage in strategies to preserve their wealth. Just as physicians are all too familiar with the inherent risks of practicing medicine, so too should entrepreneurs, executives and other professionals be aware of the risks associated with commercial enterprises. Rob helps clients with wealth preservation planning, which involves maximizing the benefits offered under Florida law, as well as considering the implementation of sophisticated foreign or domestic structures.